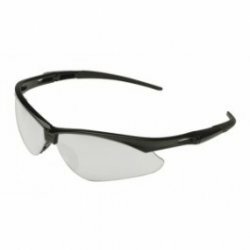 No other brand offers you the same comfort and flexibility as NEMESIS* Safety Eyewear. 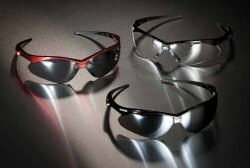 NEMESIS* Eyewear features a patented Bridge Structure for Glasses and Nose Pad. With a smaler nosepiece and wider bridge, you get a one-of-a-kind fit that's much more comfortable than with any imitator brand. Super lightweight frames and superior flexibility are a winning combination for all-day comfort. Unsurpassed frame durability is just what you'd expect from a trusted leader in the industry recognized for high-quality, reliable eyewear. ALL NEMESIS* Eyewear meets ANSI Z87.1+ Impact Standards and provides 99.9% UV protection. Go in style off-site or off-road! NEMESIS* Safety Eyewear work as hard as you do when you're on the job - or when you're off on outdoor adventures like hunting, trekking or crusing the highway on your bike. 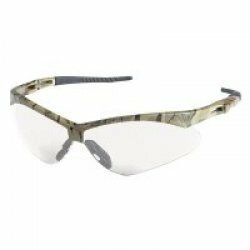 with single-lens wraparound protection, durable but lightweight contruction, and a free neck cord, NEMESIS* Safety Eyewear are ready to rumble whenever you are. For unbeatable comfort, protection, style and value there's only one real deal - the one and only NEMESIS* Safety Eyewear, That's why millions of American workers choose NEMESIS for work and play.